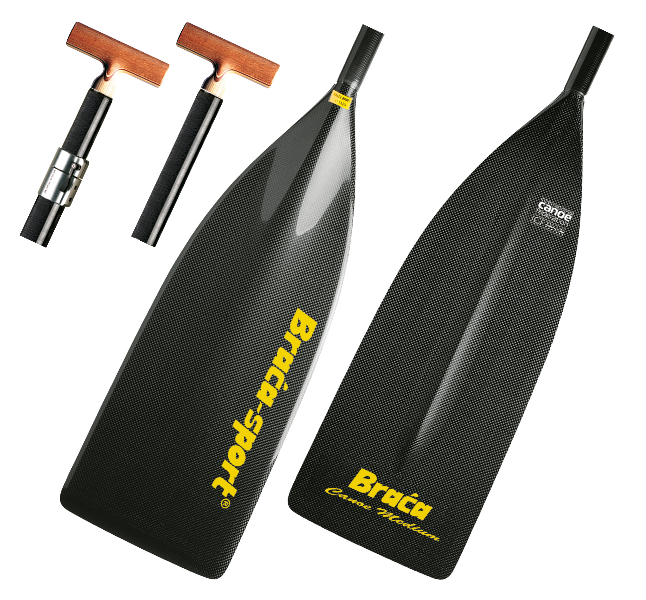 Brača Canoe Medium is designed with a stabilizing central spline on the blade. It has a specific, non-uniformly distributed catch. This shape allows the paddler to perform the most effective straight strokes (it doesn't 'run aside') and steering against the wind becomes much easier. You can also choose the stiffness of the shaft. We recommend a stiffer shaft for bigger blades but any combination is possible. See the shaft stiffness measurement prodecure above and parameter table below. All Brača Canoe Medium paddles are available with an Adjustable Shaft System. 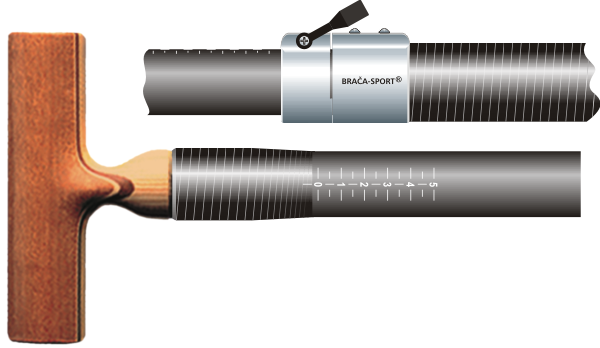 This allows elegant adjustment of overall paddle length (within 5cm range) and blade angle from 0° to 80° right or left in 5° increments. The system also allows you to disassemble the paddle into two parts for easy transportation. See the maintenance page for details.